My guilty pleasure has always been historical fiction, but I also really like a good mystery/crime drama. So I was super excited when I first discovered historical mysteries! Yes, you’ve read that right. Two of the very best of the entertainment genres mashed together. I’ll set the scene of the discovery for you. I was on holiday with my family, on a beach in the south of France. I am not a big fan of the beach since I am very pale with blonde hair and blue eyes. I would often bring reading material and hide under a huge umbrella. 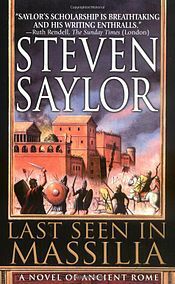 My dad, a huge history nerd like me, noticed my great love of the ancient roman world so he let me borrow his book – “Last Seen in Massilia” by Steven Saylor. For those of you who don’t know, Massilia was the Ancient Roman name of the town of Marseille in the south of France. Thus an obsession was born! 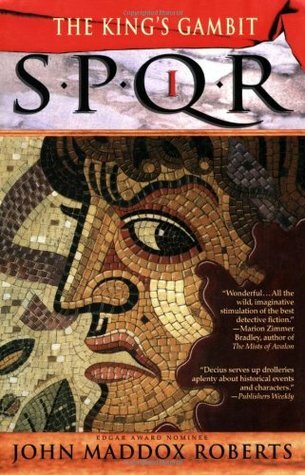 From the age of 16, I devoured any historical mysteries I could find set in the world of the Roman Empire and Republic. It was so much more engaging than your standard history book because it looked at the fabric of everyday life in the ancient world. You could feel the streets of the cities come to life and the characters of the books seemed real. What was most surprising was that I was actually learning from these books. When I got to University and took my first survey course on the ancient world, I knew a lot more than my peers did. I had a head start because I loved these historical mysteries. This series follows the life of Gordianus. He is a finder, which is essentially a private detective for hire. The story spans from his beginnings as a young detective to his elderly years with his children (and grandchildren!). As with most historical fiction, he meets famous people like Julius Caesar and Cleopatra. And he curries favor by solving mysteries along the way. Definitely not PG though – kiddies beware! The original series follows Marcus Didius Falco, an informer. He is an independent detective, but he is often asked to investigate things by the Emperor (and you can’t really say no to the Emperor). It is set during the reign of the Flavian dynasty, which means Vespasian, Titus and Domitian. What is so compelling about this series is that he is often sent to other parts of the Empire to solve mysteries. So you get to see the everyday life of romans in the provinces, which is not always common in this historical mystery genre. He is also a very sassy character and the writing has a lot of quick wit. 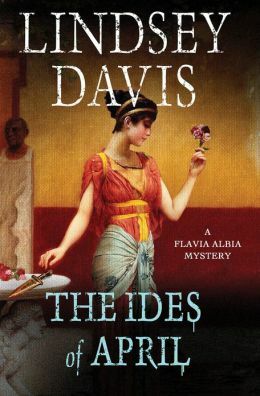 Lindsey Davis then recently started a new series, following the life of Falco’s adopted daughter Flavia Albia. An orphan, found in a brothel in Londinium, she follows in the footsteps of her adopted dad and becomes an informer in Rome. There are only a couple books out in this series, but I look forward to the rest! 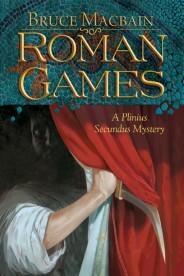 This series follows Pliny the Younger, a lawyer, solving mysteries and bringing murderers to justice! Since the main character is an actual person who lived during that time, you’ll find that this series is more tame than the other two in terms of its artistic liberties. The story is fake though, so don’t be fooled by the real people! 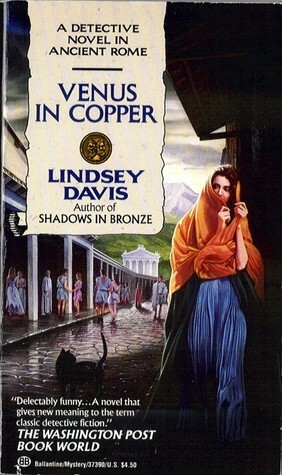 Unlike many of the series I have mentioned before, this series is narrated by a Senator – Decius Caecilius Metellus the Younger, to be specific. It is written as a flashback and it gives us an “in” with the lives of the rich in Rome as an equal. So it shows you a different perspective of Roman life. I think you should have enough reading material now to last you awhile. For those of you who are more interested in Ancient Egypt or Ancient Greece, I apologize. I know this is very one sided, but Ancient Rome was my first love. Please feel free to add historical mysteries in other time periods that you think I should check out or add your own favorites! Let’s share the love guys.